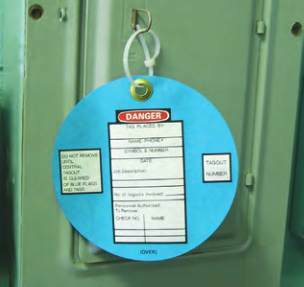 Tags withstand tough, dirty and greasy conditions. Jumbo tags are easy to see from a distance. 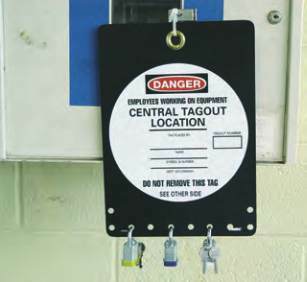 Tag accommodates up to 10 padlocks.